ESFN members meeting during Shake Nice! 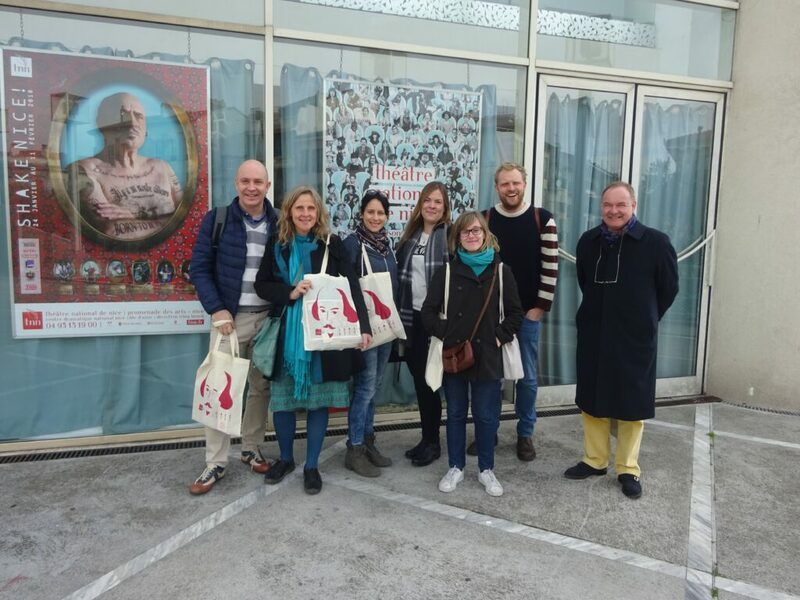 On 10th-11th February European Shakespeare Festivals Network members arrived to Shake Nice festival , which, except from opportunity to see programme, was also an excellent moment for members meeting. Joanna Sniezko -ESFN Executive Director- welcomed everyone to the meeting and thanked Irina Brook, Tess Tracy and the TNN team for their invitation . Irina Brook introduced the festival in Nice as the majority of members had attended it for very first time as Shake Nice is the youngest ESFN member. The festival is in its third year, and is now establishing a shape and base support within the community, putting much interest in cultural education as a key for audience development. Also members had oppotunity to see „The Tempest” directed by Irina Brook. During the meeting many topics were discussed. Our hosts presented some future plans for organizing a much larger festival. Over the course of the weekend, members were particularly excited by and envious of the Shake Foot collaboration between the festival and Nice Football Club. Members discussed plans and upcoming festivals programmes, that will be very exciting! Once again huge thanks for Irina Brook and Tess Tracy from Shake Nice! For being such amazing host! This entry was posted in News and tagged ESFN, European Shakespeare Festivals Network, france, irina brook, nice, shake, shake nice. Bookmark the permalink.